Centre Spot CIC has been awarded a three-year grant of £90,832 to provide peer mentoring and training opportunities to young people living in areas of deprivation. Through the programme of support the project will support the young people to make positive life choices and provide the young people with better coping skills for the future. This entry was posted in news on October 31, 2017 by manny. Centre Spot are delighted to announce that BBC Children in Need has awarded them a grant of £26,735 over 3 years. This grant will fund the delivery of a programme of football and coaching opportunities for disadvantaged children and young people living in areas of deprivation. Through the sessions the project aims to support the young people to increase their self-esteem and confidence whilst improving their communication skills and giving them the opportunity to enjoy a fun, healthy activity. Centre Spot are pleased to be one of 11 projects selected across the country by England Rugby and Comic Relief, who announced the first set of Try for Change small grant recipients. The Try for Change small grants round is the first initiative in England Rugby’s partnership with Sport Relief. Aimed at supporting smaller charities, community groups and grassroots rugby clubs in England, the grants offer projects up to £10,000 to support the valuable work they are doing to improve lives through rugby. Over 40 organisations, including 17 rugby clubs, applied for a small grant, with 11 projects ultimately being awarded funding. The successful projects are located across England and use rugby and its core values as a tool to greatly improve and support the lives of marginalised and disadvantaged people. Centre Spot will be working with local schools and community groups within the Smethwick area of Sandwell. 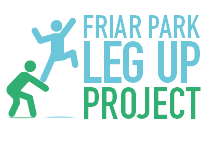 The project will work with young people at risk of/engaged in substance abuse and/or anti social behaviour providing regular structured sporting activities and group learning to increase activity, improve emotional health, well-being and life chances, whilst focusing on citizenship and team working to promote community cohesion and positive attitudes.